Shpock - The Flea Market At Your Fingertips! Don't get me wrong, it doesn't get much better than losing an afternoon wandering round a vintage fair or market, but as adulthood is slowly creeping up on me I find I have increasingly less afternoons to spare. So naturally I was very interested (not to mention excited) when I heard about the fairly new app Shpock - 'The boot sale app in your pocket'. This amazing app allows you to float through a world of pre-loved items whether you are on the train or scrolling through your phone at 4am with one eye open. Since launching in March 2014, Shpock has helped 1 million people in the UK alone give their unwanted items a new home - everyone's a winner! You can view items in your local area and chat with sellers instantly to agree a price or collection. But it's not all about buying; listing an item is also simple! All you have to do is take a picture of what you're selling, write a little bit about it and it becomes instantly visible to Shpock users in your area! I'm finding it very useful after having a huge clear out of clothes this summer. A recent study has shown the average British household hordes a £517 worth of stuff* - that could be used for a holiday, a whole new wardrobe or this months rent?! My favourite feature of this app has to be its free listing - yes you heard correctly, Shpock does not charge you at all - the app is free, selling is free and listing is free! Talking about free, the app also has a 'Free Stuff' section! 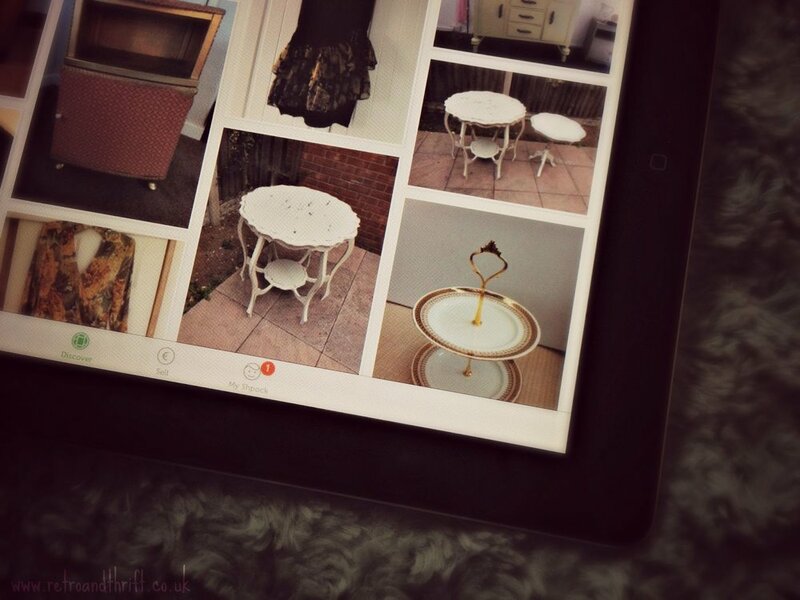 So if you need to earn some cash or just love vintage I would definitely recommend Shpock - it's available on the App store and Google Play! *according to a study completed by YouGov and commissioned by Shpock.